The average price in The Oaks fell to $1.11 million in the first half of 2018, down from $1.26 million in 2017. On a dollars per square foot basis prices also fell from $244 per square foot to $221 per square foot, a 9.4% drop. What this really reflects is that 2017 was a good year for sellers and this year appears to be returning to similar numbers we saw in 2016. Twenty three homes sold so far this year. On the bright side this is a faster pace than 2017 where a total of 36 homes closed in the full year. There are currently 39 listings, down significantly from the 50 we reported earlier in the year. The reduced saturation may help sellers going forward. More listings failed than closed, with 23 listings canceled and another 6 expired. The average transaction took over five months, but that doesn’t account for previous failed listings of those houses. 17738 Middlebrook Way; image by Google. The top price so far this year is $2.05 million for 17738 Middlebrook Way. Built in 2004, this genuine mansion has seven bedrooms in nearly 10,000 square feet on a 1/3 acre cul de sac lot. The seller was Kenneth Hudson, CEO of a prominent South Florida advertising firm. All other sales were 6500 square feet or less. The biggest deal in dollars per square foot was 17519 Cadena Drive selling for $1,745,000. At just under 3450 square feet it works out to $320 per square foot. Built in 2015, it just sold at the end of June and the property appraiser records have not updated yet. The only other home selling for over $300 per square foot, and just barely, was 9082 Pintura Way at $1.63 million for 5400 square feet. The best bargain was 17541 Circle Pond Court selling for $1.09 million for this 6500 square foot house with six bedrooms, seven full bathrooms and three half baths. It’s loaded with features including an 11-seat media room. The house was on and off the market a few times dating as far back as 2008 with list prices as high as $2.7 million. The two lowest prices were foreclosed, bank-owned homes. 17874 Lake Azure Way sold for just $500,000. Short sale attempts failed in 2010 and 2011, and the foreclosure was completed in 2013. JP Morgan Chase Bank sat on it for a few years until they listed it in 2017. It foundered on the market until an investor finally bought it and even then the transaction took another six months to close. With a price this low it could have been a house with defective drywall but we can’t see any evidence of that. It otherwise seems to have great bones with five bedrooms in 4700 square feet. The other distressed sale was 17585 Middlebrook Way, another five bedroom house with 4300 square feet that sold for $695,100. Overall ten of the homes sold for over $1 million and fourteen sold for less than a million. Most homes sold for $880,000 or more and the average home had five bedrooms in just over 5000 square feet. 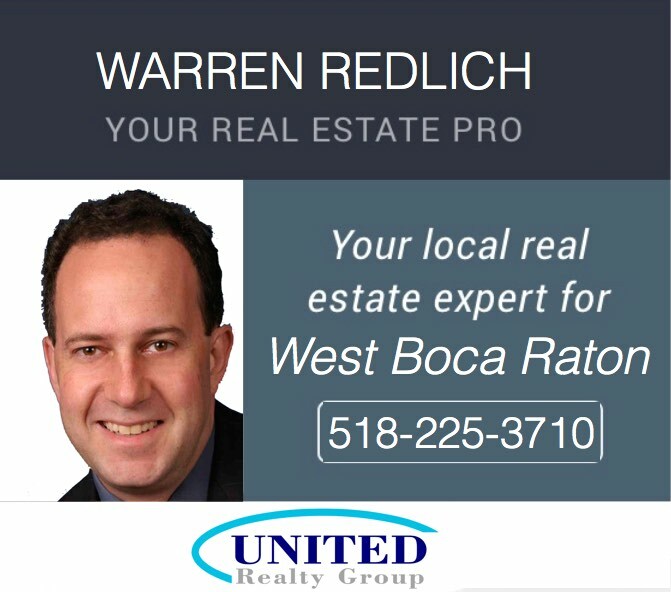 Eleven homes in West Boca and southwest Delray sold in October for prices ranging from $710,000 to $1,240,000. All eleven were in four neighborhoods – Delray Lakes Estates, The Oaks, The Bridges and Seven Bridges. The market in this range may be heating up as most of the homes sold in two months or less. Two homes sold on Sawpine Road in Delray Lakes Estates, which is on the south side of Atlantic just west of the Turnpike. The community has a manned entrance and is in the process of adding a new gate. 8538 Sawpine is four houses down from 8476 Sawpine. 8476 Sawpine Road was the highest price this month at $1,240,000. Built in 2015 the home has five bedrooms and five and half baths in 4600 square feet of living space on two floors, with a small attached guest house. It sits on a one acre lot with a gorgeous pool and its own tennis court. The backyard looks out to a canal and undeveloped land. A few doors down 8538 Sawpine sold what looks like a bargain at $805,000. Built in 1989 the house has 5 bedrooms and 3 1/2 baths in 4300 square feet, all on one floor. 17603 Middle Lake Drive sold for $1,237,000. The house has 5 beds with 5 1/2 baths in 4900 square feet on two floors. It’s on a cul de sac, one of the nicest lots in the community, with a wraparound lake view. 17838 Cadena Drive sold for $1.08 million with 5 beds, and 6 1/2 baths in 4900 square feet. It’s not a particularly special lot, with the backyard up against Lyons Road and not far from Clint Moore, but it sold in just 3 days. The lone straggler on the market was 8879 Sydney Harbor Circle, which sat on the market for several months listed too high, starting at $1.45M, later reduced to $1.3M. It was recently relisted for just under $1.2M and then sold in 20 days for $1.15M. It’s not a big house for The Bridges with 3 beds and 3 1/2 baths in 3350 square feet, with nothing particularly special about the lot. 16566 Sagamore Bridge Way sold for $820K with 4 beds and 3 1/2 baths in 3000 square feet with a lake view and a small backyard pool. On paper it looks like the buyers got a lot more for their money. 8153 Hutchinson Court sold for $780K with 5 bedrooms and 5 baths in 4300 square feet. It’s located at the start of a cul de sac but the lot is not any bigger and there’s nothing special in the backyard. 8980 Little Falls Way sold for $742,500 with 4 beds and 4 baths in 3500 square feet. It was oddly listed by a Broward-based Realtor through the Miami Realtors MLS. The listing used low resolution photos and was very short on detail. It’s possible that the owner and Realtor were related. 16538 Gateway Bridge Drive sold for $710K with 4 beds and 3 baths in 2500 square feet, one of the smallest models in The Bridges. Two very similar new homes sold in the Greenwich section of Seven Bridges for nearly identical prices. Both sold for about $1.06 million. 16323 Pantheon Pass and 16383 Pantheon Pass each have 5 bedrooms and 6 baths in 4735 square feet. Seventeen single family homes sold west of the Turnpike for over $800K since August 1st. Six were in The Bridges, four in Seven Bridges, three in The Oaks, with one each in Long Lake Estates, Rio Poco, Saturnia Isles, and Mizner Country Club. The biggest transaction was 16781 Crown Bridge Drive in The Bridges, which was sold new by GL Homes for just over $2 million in mid-August. It is by far the largest house in this report with over 7500 square feet, 6 bedrooms, 6 full and 2 half baths, a cul de sac location with waterfront, a pool, and a variety of high end features including an elevator. The price works out to $273 per square foot. On the same street, the much smaller 16834 Crown Bridge Drive sold for $1.6 million with 4600 square feet, 4 bedrooms and 5 and a half baths. For the size this was a much higher price at $345/sq.ft. It took over a year to sell. 16910 Charles River Drive sold for $1,598,000 at the end of August; image from PBC appraiser. 16910 Charles River Drive sold for just under $1.6 million with only 3350 square feet. The price works out to $476 per square foot. The seller touted over a million dollars in upgrades including air conditioned garages, a generator for the house, salt pool with infinity spa, etc. With all that in mind we’d guess the seller lost money on the house after upgrades. Dropping below $1M, 8701 Lewis River Road sold for $983K with 5200 square feet (under $200/sq.ft. ), and 8187 Lawson Bridge Lane sold for $885K with 4300 square feet. 9735 Vitrail Lane sold new by GL for just over $1.1 million with 4200 square feet, 4 bedrooms and 4 and a half baths. Next door the much larger 9831 Vitrail Lane was also sold new by GL for just under $1.1 million with 5200 square feet, 5 bedrooms and 6 and a half baths. 16436 Pantheon Pass sold for $1.03 million in August, only 4 months after a previous transaction for $940K. The contract was signed only 2 months after the earlier transaction, making us wonder if the new buyer’s agent informed the buyer about that earlier price. 16903 Pavilion Way sold new by GL for $964K with 3000 square feet, 3 bedrooms and 3 and a half baths. The price works out to roughly $320 per square foot, even though there’s no waterfront. We don’t see many single story homes in The Oaks, but two of them are in this report. 9074 Pintura Way sold for just over $1.2 million with over 3400 square feet, 4 bedrooms, and 3 and half baths. The rear of the house faces south with a lake view. It’s encouraging to see this sold for $200K more than when it was purchased new in 2014. 17654 Cadena Drive sold by the builder (Standard Pacific) for $900K with 3500 square feet, 3 bedrooms and 3 1/2 baths. The two-story 17842 Lake Azure Way sold for $855K with 4500 square feet. We think this was a Chinese drywall home that was completely redone as it was originally sold for just over $1M in 2006 by Albanese, and then bought in 2016 for only $315K. In Long Lake Estates, 18094 Sentinel Circle sold for $1.5 million with 5300 square feet, 6 bedrooms and 6 and two half baths. The one floor home has over an acre of land and over 250 feet of waterfront. 16215 Rio Baile in Rio Poco sold for $975K with nearly 4800 square feet, 6 bedrooms and 5 baths. Across 441 in Saturnia Isles, 9512 Savona Winds Drive sold for $855K with 4800 square feet, 5 bedrooms and 4 1/2 baths. And just north of The Bridges in Mizner Country Club, 8911 Oakland Hills Drive sold for $850K with 4500 square feet, 5 bedrooms and 5 1/2 baths. 16031 Quiet Vista Circle in Stone Creek Ranch sold for $6.4M. Image and map data by Google. We reviewed over 80 single family home sales (west of the Turnpike up to Atlantic in Delray) from May 1 into early June, restricted to homes with 3 or more bedrooms and at least 2000 square feet of living space. This is Part One of that review, covering homes selling over $800,000. All these homes were in zip codes 33498, 33496, and 33446, mostly in The Bridges, Seven Bridges, and The Oaks. At the high end was 16031 Quiet Vista Circle in Stone Creek Ranch, on the west side of Lyons just north of Seven Bridges. The nearly 14,000 square foot house with 10 bedrooms and 10 1/2 baths sold for $6.4 million. The seller was billionaire Steven A. Cohen. The buyers are Cynthia Williams and her husband Ronald “Ron” Williams, former CEO of Aetna, with an estimated net worth close to $200M. There was one other transaction for over $2M. 8700 Surrey Lane in Horseshoe Acres (north of Clint Moore, east of Lyons) sold for just over $2.8M with only 5 bedrooms and 5 1/2 baths in 6000 square feet. Nine other homes sold for $1M or more, in The Bridges, Seven Bridges, The Oaks, and Long Lake Estates. Most of these sold for between $215 and $250 per square foot, with two in The Bridges going for closer to $300 per square foot. The smallest of these was 8510 Hawks Gully Avenue, with 3 bedrooms and 3 1/2 baths in 3350 square feet. It sold for $1.1M ($328/sq.ft.) in just 17 days on the market. The house is on a corner lot with no waterfront and has significant upgrades including a gorgeous pool, but it still seems like a hefty price for what the buyer got. The house was previously purchased for less than $1M in 2015. The best bargain of the million dollar homes was probably 8646 Lewis River Road, a 5200 sq.ft. 5 bedroom with a partial lake view which sold for just over $1.1M, or $216/sq.ft. $1.43M: 18529 Long Lake Drive, Long Lake Estates, 6 bedrooms, 4 1/2 baths, 5800 sq.ft. $1.35M: 16844 Strasbourg Lane, Seven Bridges, 5 bedrooms, 6 full and two 1/2 baths, 5500 sq.ft. $1.2M: 17681 Middlebrook Way, The Oaks, 5 bedrooms, 5 1/2 baths, 5500 sq.ft. $1.14M: 16615 Sagamore Bridge Way, The Bridges, 4 beds, 5 baths, 3900 sq.ft. $1.08M: 17745 Vecino Way, The Oaks, 5 beds, 4 baths, 4450 sq.ft. $1.07M: 8518 Hawks Gully Ave, The Bridges, 4 beds, 4 1/2 baths, 4300 sq.ft. 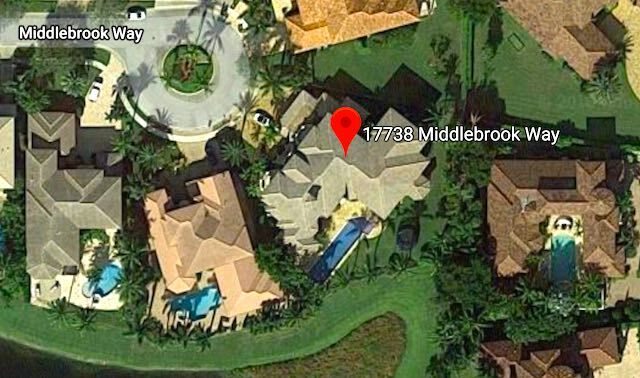 Six homes sold for prices between $800,000 and $1,000,000, including three in The Oaks, one in Mizner Country Club, one in Saturnia, and one in Rio Poco. 16135 Rio Baile sold for $995,000. Image by Google. 16135 Rio Baile in Rio Poco (west side of 441 across from Saturnia Isles) sold for $995K. The house has 6 bedrooms and 5 1/2 baths in 4200 square feet on a one-acre lot. What would seem to be one of the biggest bargains was 17891 Monte Vista Drive in The Oaks. Selling for $880K, the house has 7 bedrooms, 6 full and 2 half baths in 5500 square feet. Those familiar with The Oaks will guess correctly that the house has a Chinese drywall history. Purchased in 2007 for $1.3M, it was foreclosed in 2013 and then sold to an investor for $751K. Considering the cost of capital and other expenses, the investor probably lost money on this deal. $860K: 17978 Lake Azure Way, The Oaks, 4 beds, 5 1/2 baths, 4300 sq.ft. $832K: 17689 Lake Azure Way, The Oaks, 3 beds, 3 full and 2 1/2 baths, 3400 sq.ft. $800K: 16367 Braeburn Ridge Trail, Mizner Country Club, 4 beds, 3 1/2 baths, 3550 sq.ft. $800K: 11742 Watercrest Lane, Saturnia, 6 beds, 4 1/2 baths, 4700 sq.ft. It’s an interesting question comparing older and newer homes and that’s illustrated by two of the above transactions. In Saturnia, 11742 Watercrest Lane was built in 1999 and seems a relative bargain at $800K for a two-story home with 4700 square feet. While it could use updating in a few places the house has some very nice features including a gorgeous kitchen, a downstairs master bedroom suite and a swimming pool. By comparison in Seven Bridges, 9488 Eden Roc Court sold brand new for just over $1.02M, also with 4700 square feet. The Seven Bridges buyer paid an extra $224,000 for a house that is narrower on a smaller lot with no pool, and the master bedroom is on the second floor. Seven Bridges also has substantially higher HOA fees at close to $500/month vs. $320/month in Saturnia. 11742 Watercrest Lane in Saturnia at $800K vs. 9488 Eden Roc Ct in 7 Bridges at $1.02M. Images by Google. Which house do you think is a better deal? Coming in Part Two – Homes from $185K to $750K.